Today I thought I would show some of my other art projects I have done. I love all kinds of art. Sometimes I have WAY to many fires in the burner going at once. Which leads me to this post. I can't get anything done. I'm in total creative melt down. :( I go in my room and see all the things I've started, and all I want to do is start something else. Am I the only person like this??? A plain wooden box I bought at the craft store. 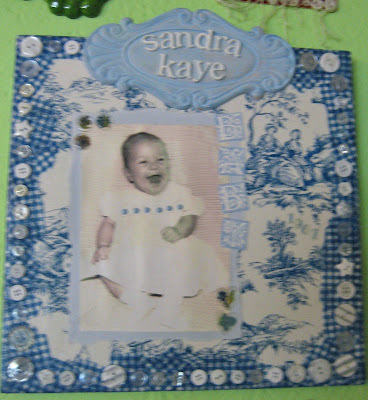 I painted the inside, and decoupaged the outside with cool papers, stamps, charms, and buttons. Again,wooden letters that I painted and put yo-yo's, silk flower leaves, and buttons to make a flower. This book is hand made by me. 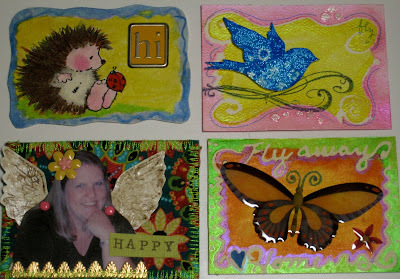 I cut it to be a 5x5 book, the pages inside hold 4x4 art pieces that I have made. QUILTIE UPDATE.... all is going great. I just sent the mailing address to every one on my list. 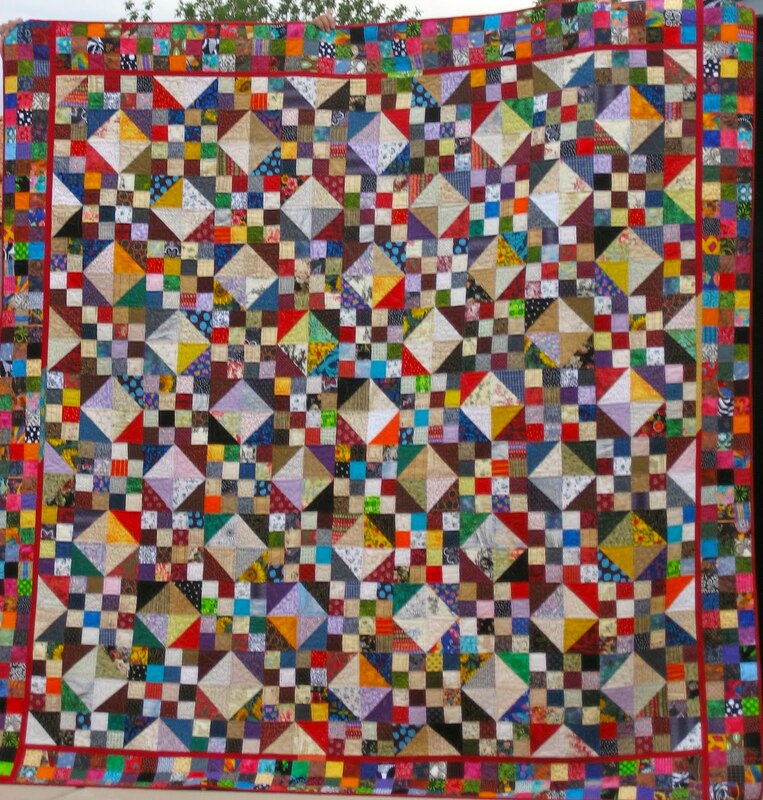 I know there were a few Ladies thinking they might join in if they got their quilties done in time. So, if you are going to trade email me and I will send you the address. Thanks again everyone for joining in on the FUN. Happy Quilting, and Crafting to all!!! I'm so excited!!! There is a FREE block of the month over at Canton Village Quilt Works with Jackie. 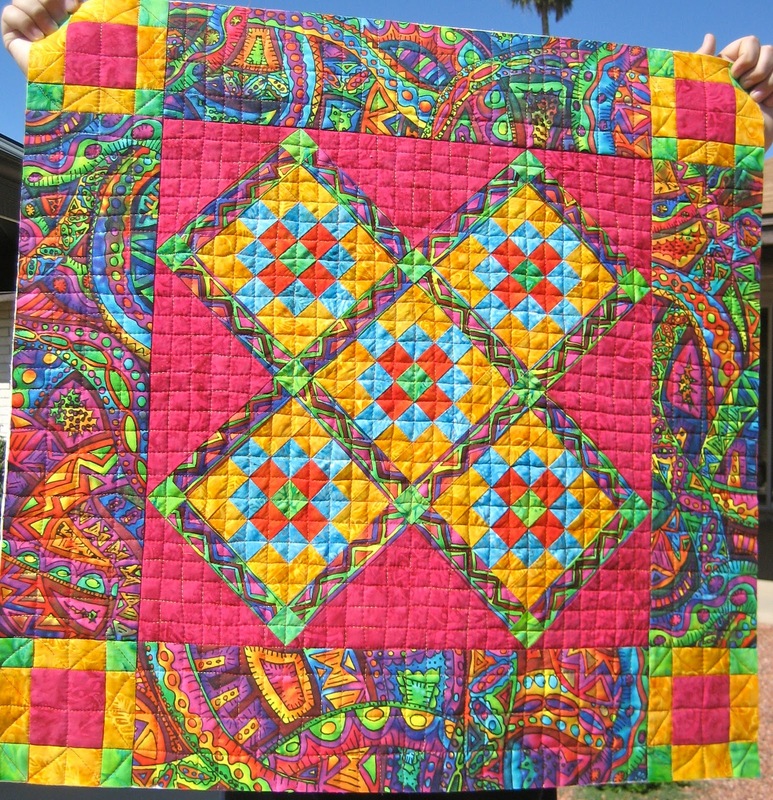 When I read about this BOM all I read was we are going to use Kaffe Fassett fabric. I'm a huge KF hound. I have a yard of almost every piece he has ever put out. ( SHHH!! 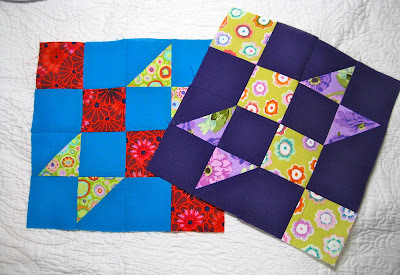 don't tell my husband) I want my quilt to be BIG, so I have decided to do my blocks twice each month. Here is my second block. 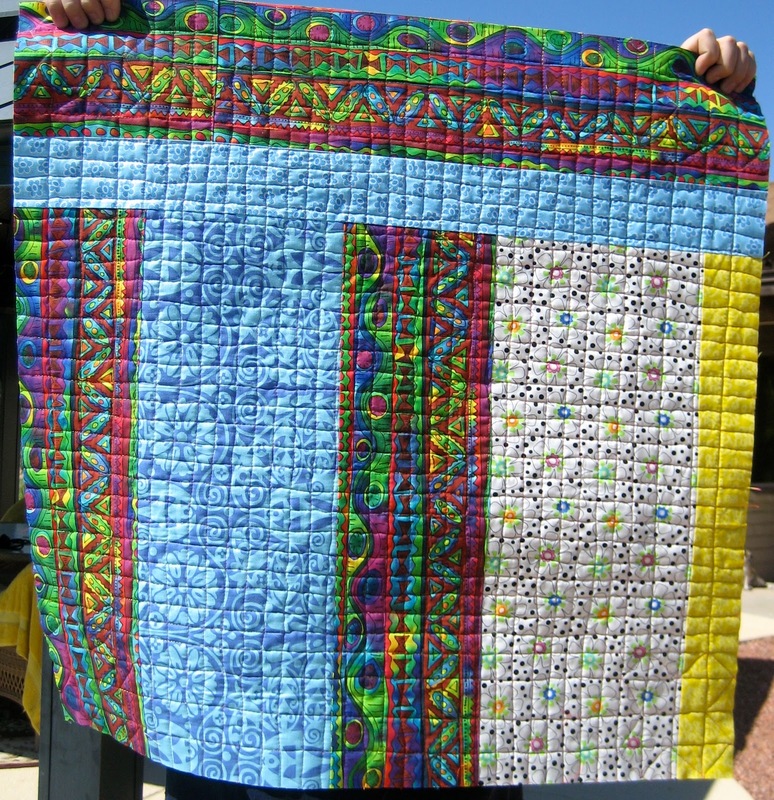 Each month a different quilter will design a block. 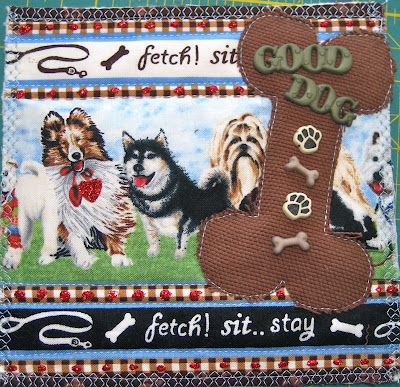 This month's block was designed by Sherri over at A Quilting Life. I think she did a wonderful job!!! So, if you are looking for a great way to use up some of your fabric.... head on over to Jackie's to find all the info that you will need to join in on the FUN!! QUILTIE REMINDER!!!! How are they all coming?? Don't forget mail out date is OCT 15th!! In 2005, I read my first article on a new art thing sweeping the country. 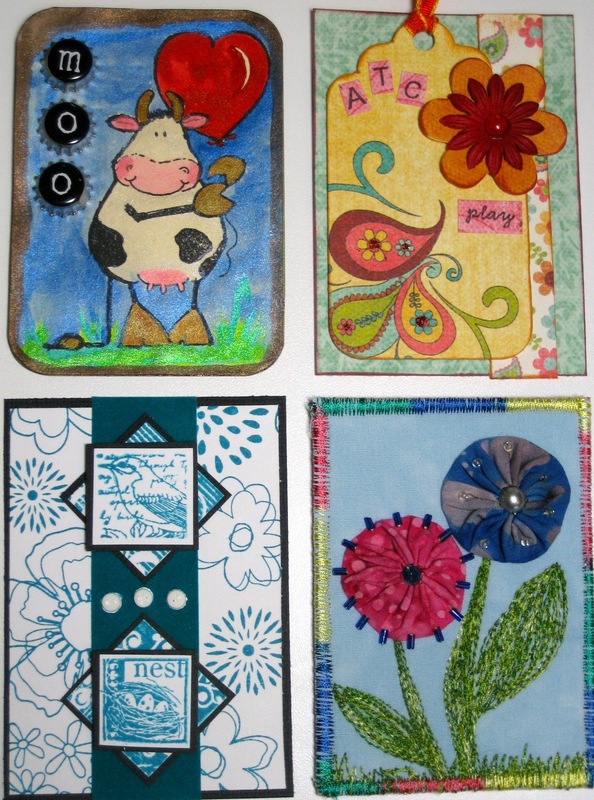 It was called Artistic Trading Cards. Little by little all the art magazines started talking about this new art craft. I was very intrigued. So, I started to play with making these cards on my own. That soon was not enough. I looked all around my town for people who might be trading. No one was trading and the shops had no idea what I was talking about. So, what must a girl do??? ..... Start her own group. And I started teaching classes at the local scrapbook shops too. These cards can be made out of any medium you want. 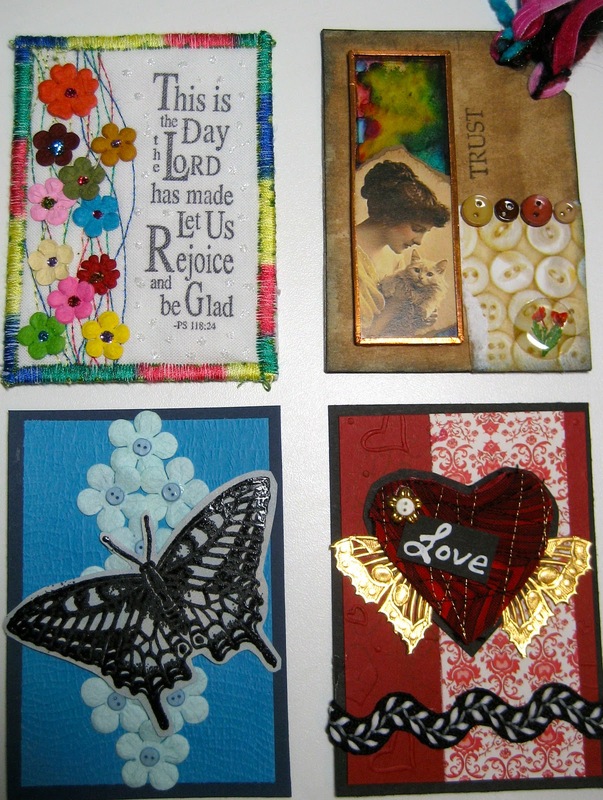 Some of my favorite cards are of course made with my fabric leftovers. OK, does anyone else have an obsession for this little antique toy sewing machines??? Or is it just me? For those who are working on the quiltie trade, how are you doing??? We have 16 ladies signed up so far. With 2 ladies in the thinking mode. :):) Well, I'm just checking on you. Looking forward to October 15th. 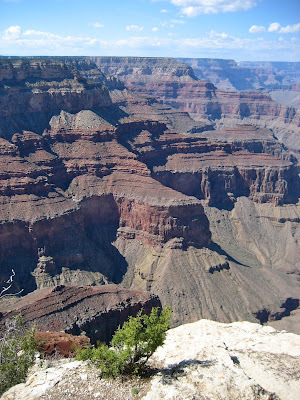 This weekend I took my dearest New York friends Reenie and Trace to the Grand Canyon. 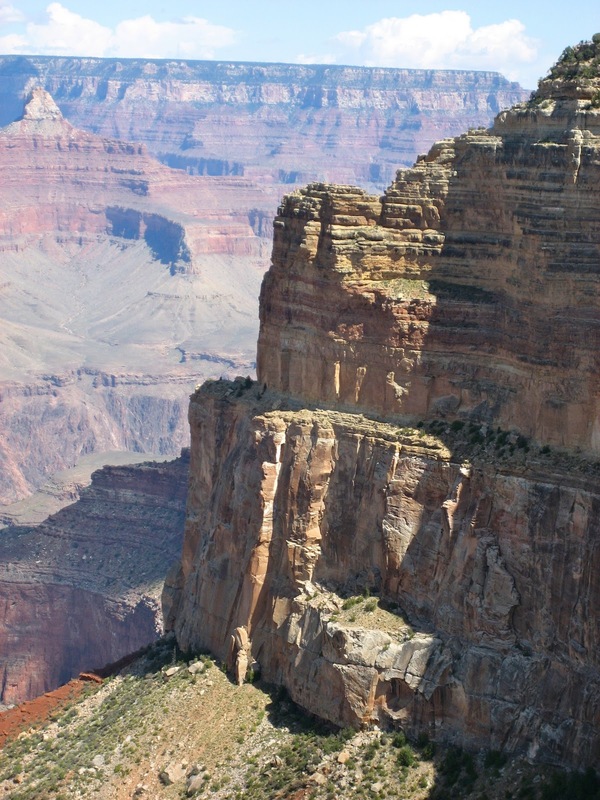 I have never seen anything in my life as BEAUTIFUL as the Grand Canyon. !!!!! Can you say "Awesome"!! I was just speechless this whole trip. For those who know me... Speechless is not something I do often :):) It was a wonderful trip. 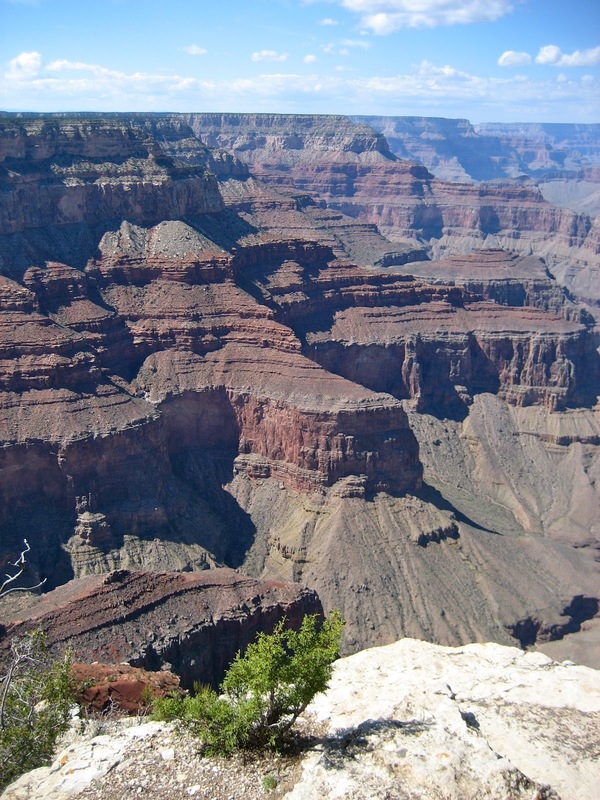 A true blessing to be able to see such wonder. Before my friends came I did a crash sewing session. I made this small wall quilt. Of course, you know me... I have to piece my backs!! 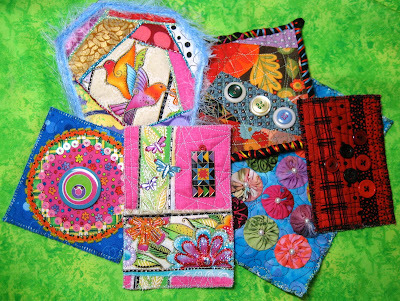 Well, that's it for now.... DON"T FORGET TO WORK ON YOUR QUILTIES!!! Mail out date is OCT 15th. 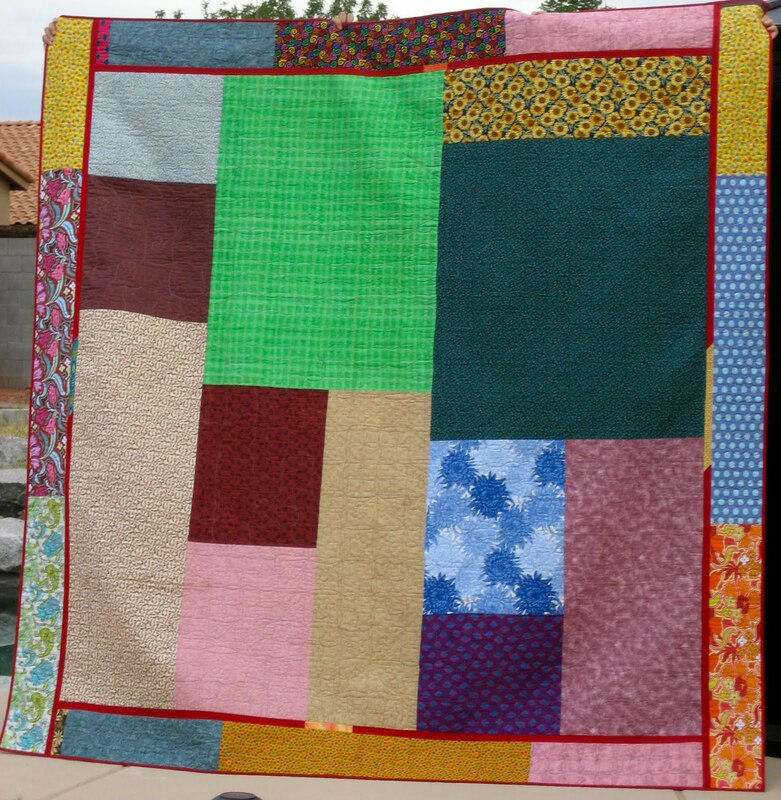 I love to quilt!! But, sometimes it takes a really long time to finish things. Especially the really big quilts. Which is why I like to do small things and mixed media stuff. These things get done so much faster. But, I do hang in there and get the BIG ones done eventually. :):) Here is one now!! And here is the back. I used up fat quarters I didn't think I would use anymore. You know how we always change our minds in fabric choices. One minute I liked the fabric , the next ... not so much. But they make great backing fabrics. :):) I also quilted it myself. I have been trying different QAYG methods. 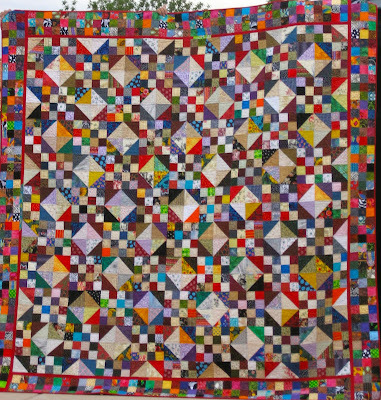 The method on this quilt is one I didn't like. 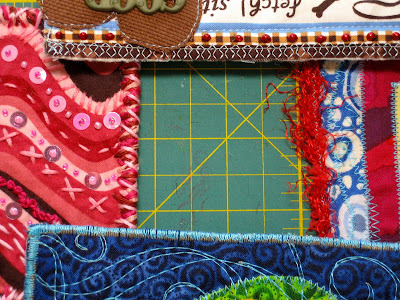 But , in my blog surfing I found a very talented lady named Marianne, she teaches a fabulous QAYG method that I'm working on in a new quilt. Well, I'm off to quilt some more. Ya'll have a super day!! 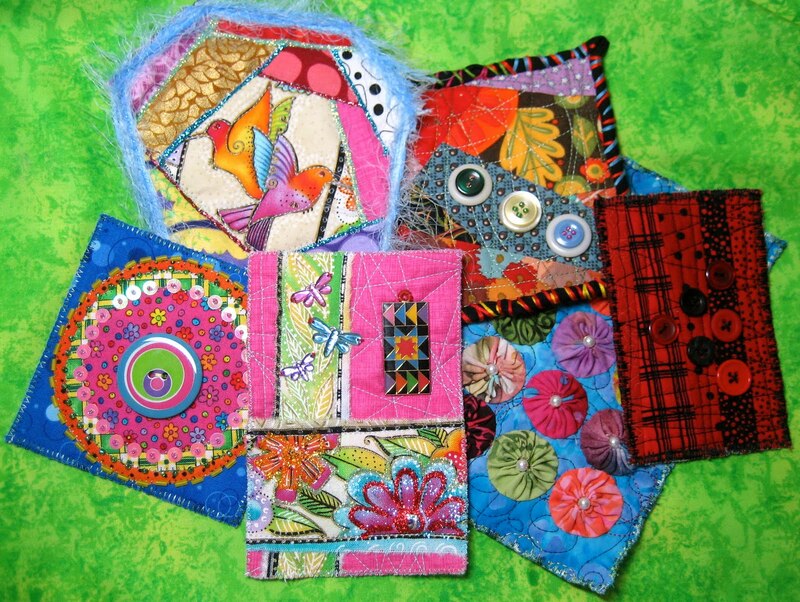 DON"T FORGET TO WORK ON YOUR QUILTIES!!! I'm so excited!! So far we have 14 Ladies signed up!! They hail from..Nebraska, Washington, Tennessee, Florida, Maryland, California, New York, New England, Arizona, and Australia!! I can't wait to see every ones little treasures. Don't Forget Mail out date is OCT 15th. Our first born, he is a United States Marine now. It's hard to believe he was once small and helpless. Finally, our third wee one. We adopted her when she was a baby. The light of our lives. Always ready with a giggle and a laugh. :):) I'm having a super time making my quiltie journal for the year. 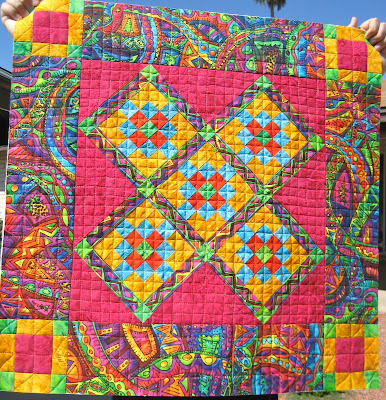 DON"T FORGET ABOUT THE QUILTIE TRADE!!! 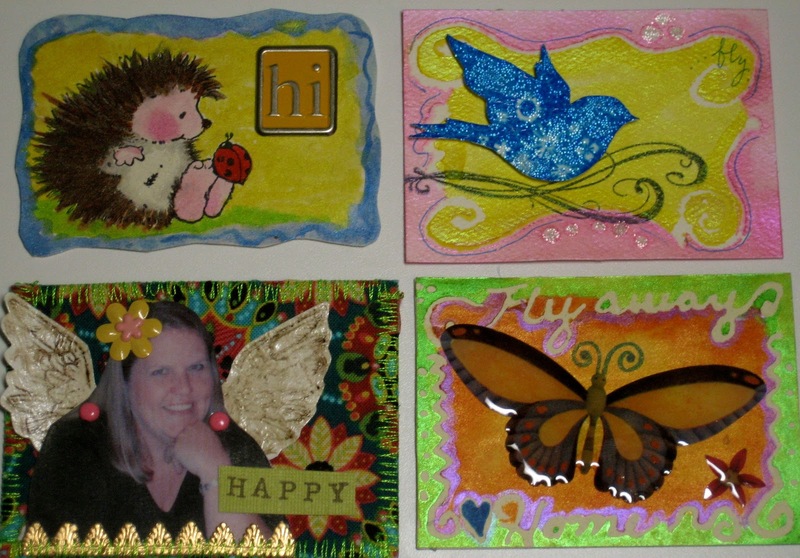 There is still time to join in on the fun :) The mail out date is OCT 15th. It's all about BUTTONS this trade. All the quiltie info is in the previous post. Little pieces of fabric left from a quilt. I really like this quiltie with all the buttons on it. Last one for now. I just moved to Arizona, I had to do one of my new home. :):) Well, that's my show and tell for today. 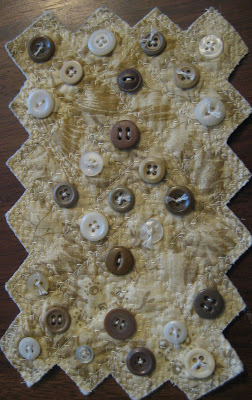 Don't forget to let me know if you would like to join...... MY QUILTIE TRADE....... I'm so excited, I can hardly stand it.